Upon entering the spacious and opulent Royal Palace, patrons will quickly understand the reason for its name. Sparkling light shines from the crystal chandeliers overhead, glinting off the gilded and mirrored ornaments on the walls and ceilings. Many large photographs of Lebanon line the room, showing off the country’s scenic beauty. The menu features a stunning variety of Middle Eastern specialties, including all the favorites — shish kebab, shawarma, falafel, kibbee and freshly squeezed juice drinks — as well as many other more unique creations. 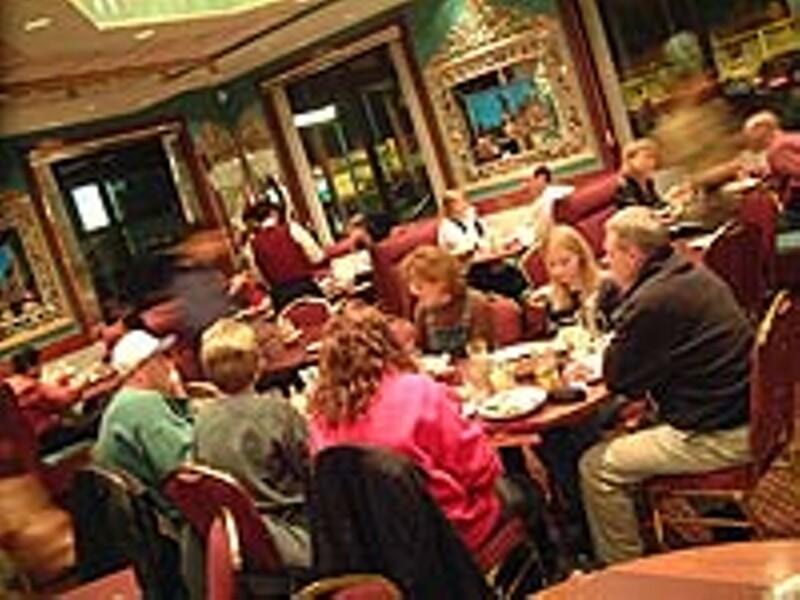 A list of international entrées is also offered, with a few dishes each from Italian, Mexican, Indian and American cuisines. All meat and poultry are halal (permissible for the Royal Palace’s Islamic guests). Take-out orders are welcome and may be faxed to 313-565-9600; banquet facilities are also available.